This story has been updated — there are actually two, wall-hung farmhouse sinks like this on the market — read about them both here. 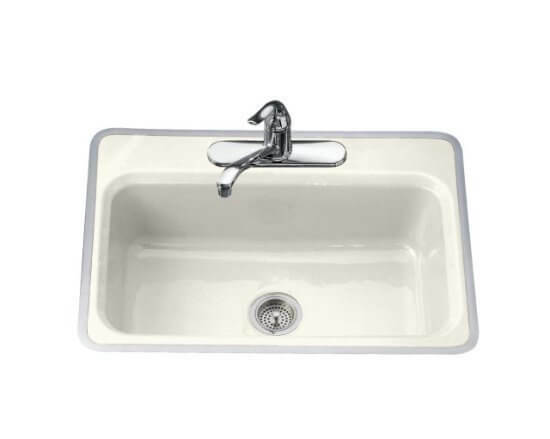 If you are looking for a porcelain drainboard sink made new, this is the only one that I know of. 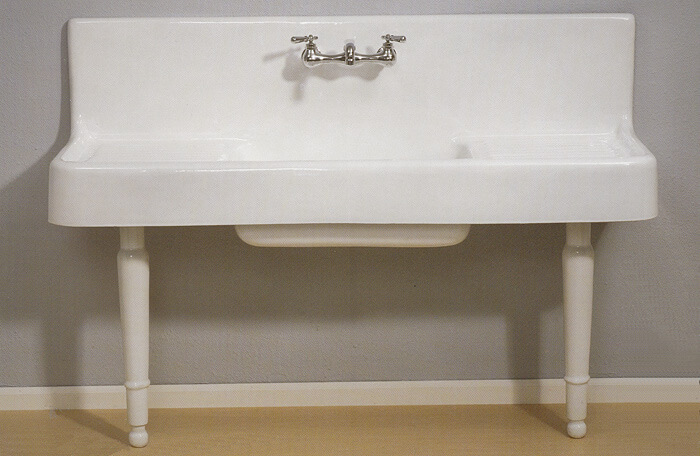 It’s the Clarion, manufactured by Strom Plumbing, and for sale online and via catalogs at places like Vintage Tub & Bath. 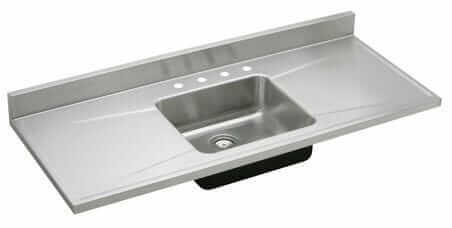 It’s not cheap — around $1,600 — but it appears to be the real deal — a reproduction of an original farmhouse sink, made of porcelain over cast iron, and including the much coveted double drainboards. It’s a whopping 5′ long. What an amazing centerpiece for a farmhouse kitchen, a camp house or cottage kitchen, a bungalow kitchen, or a Victorian. 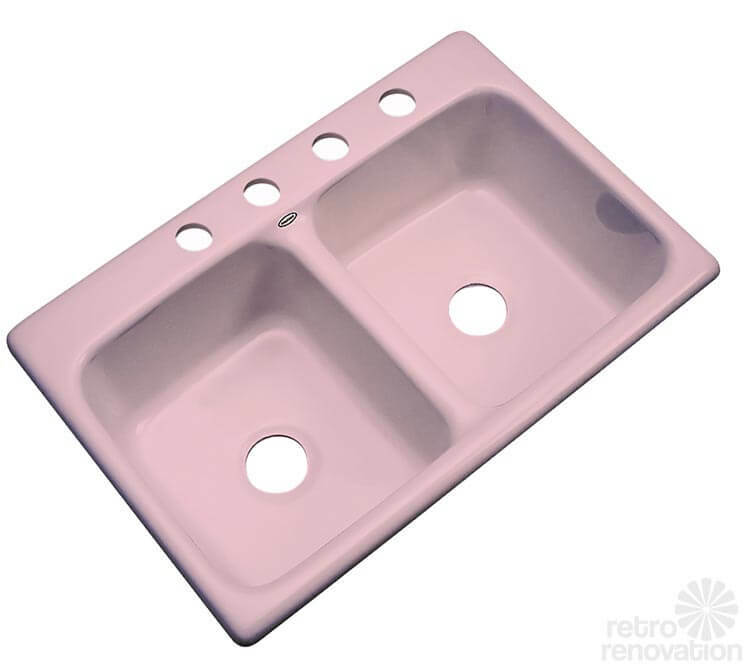 Retro kitchen sinks from Kohler – cast iron, metal framed – my new #1 choice if you are buying new! 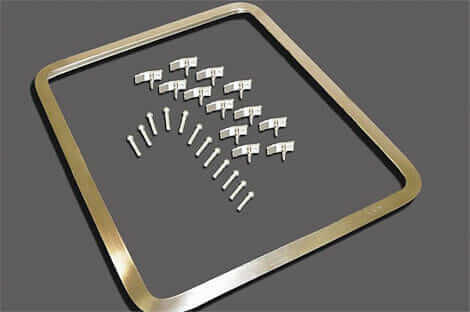 18 sizes of metal rims for kitchen and bathroom sinks — hudee ring supplier found! So very beautiful but I’m not moving just so I can put one in my house though I’m sorely tempted.